Emperors, antipopes, annoying neighbors…the powerful Tyrolean nobleman Oswald von Wolkenstein never met a feud he didn’t like. And by “like,” I mean engage in for centuries (and generally come out on top, in the end). Oswald’s lush and earthy poetry, on the other hand, suggests there was some else he couldn’t get enough of. No, not religion and love. In three sections of the poem “Und swig ich nu,” Oswald lets us read (or hear) just how much experience hanging around drunk people he has accumulated over the years. when the juice of the grapes has affected him negatively. that even the emperor might not be an equal to him. into the ever open mouth. for strange reasons that no one can comprehend. once he has become addicted to the power of wine. so that she will be entirely exhausted when facing God. its round head is ready for a fight. the evilness of drunkenness shows in him. he presents openly to everyone. The tenth fights against sleep. and screams totally uninhibited both in the evening and in the morning. and voluntarily pays a tribute to the innkeeper. Elsewhere in his collection of poems, Oswald demonstrates that he is more than capable of crafting the narrative of a sprawling, multi-person barfight fueled by drunkenness on all sides. While we should be careful in reading too much biographical detail into the tale, its attractiveness to the reader would have hinged on its plausibility. In other words: Oswald knows what he is talking about here. But while alcoholic “characters” that Oswald describes meeting in other poems blend various manifestations of drunkenness, the tidy characterizations owe at least some DNA to popular religious and profane literature—just like today. In fact, a lot of these types of drunk are as familiar from pop culture today as they were in medieval literature: the promiscuous drunk, the angry drunk in a barfight, the loud drunk telling TMI stories about themselves and about anyone. On the other hand, the alcoholic husband who drinks his family into poverty appears more today in moralizing scolds about class differences or in news stories serving the same end. 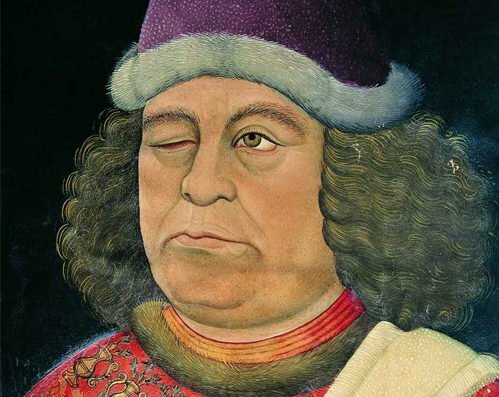 But in the Middle Ages, this was painted as perhaps the most common and dangerous type of drunk. This shift in cultural meaning and significance poses a question: is drunkenness a physical condition…or a social one? We are used to talking about mental illness as a cultural construction these days (for example, modern anorexia nervosa versus medieval holy women and a few men). Could this also apply to a biologically-driven condition like the effect of too much alcohol on the human body? Indeed, two of Oswald’s manifestations of drunkenness relate specifically to religion. One type of drunk confesses their sins abundantly and loudly and too thoroughly, excoriating themselves to penitence that will probably be forgotten while sober. Another type swears oath after oath before God, essentially writing checks their soul can’t cash. Idle words believed fervently in the haze of alcohol and forgotten by the drudgery of hangover have their place in modern culture—but as drunk texting, or Las Vegas marriages. In fact, while Oswald’s introduction of religious consequences of drunkenness in a few cases stands out today, what might well have stood out to his contemporaries was the lack of religion. The poem overall follows fifteenth-century sermons, right down to finishing off the list of vices caused by drunkenness with the ultimate sign of mortal sin-caliber gluttony. But nowhere does “gluttony” or “sin” appear. Drinking is bad not because it separates one from God, but for the natural reasons of loss of reason and bodily control. Whether comparing Oswald the lay poet and his clerical contemporaries, or Oswald the fifteenth-century drama magnet with modern college students, it’s clear that “drunkenness” is more than a person’s BAC. Both the experience of having too much to drink and the experience of being around people who have drunk too much absorb cultural meaning into the biological basis.